Lambert's wife Alice died in Middlesex Hospital in June 1935. 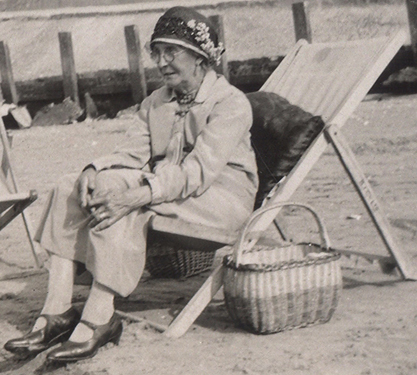 She is pictured left in 1930 on holiday at Birchington on Sea Kent, and below on a family outing with her husband Lambert, her son Walter (left) and son in law Herbert Musgrove (centre). This photo dates from just before she died.